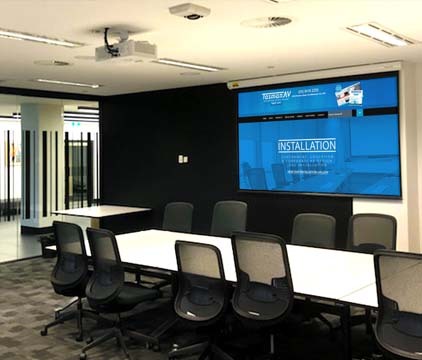 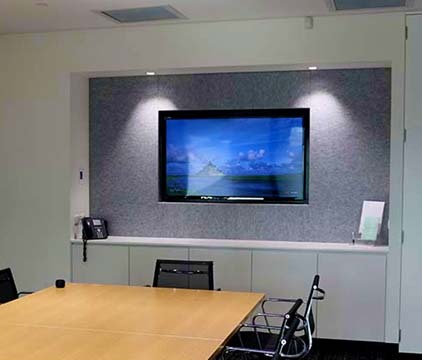 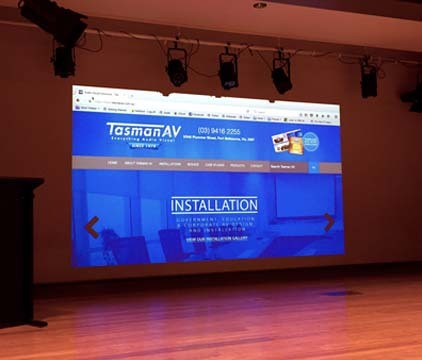 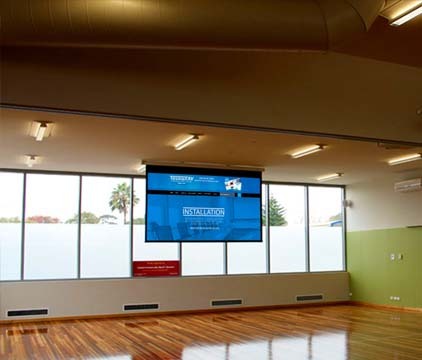 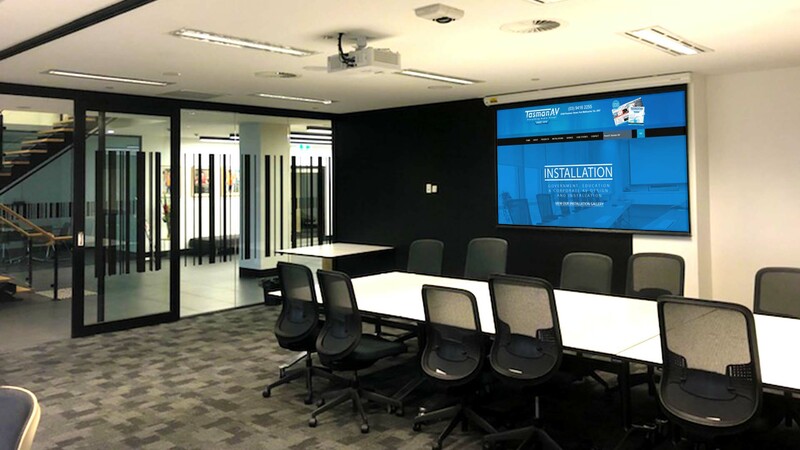 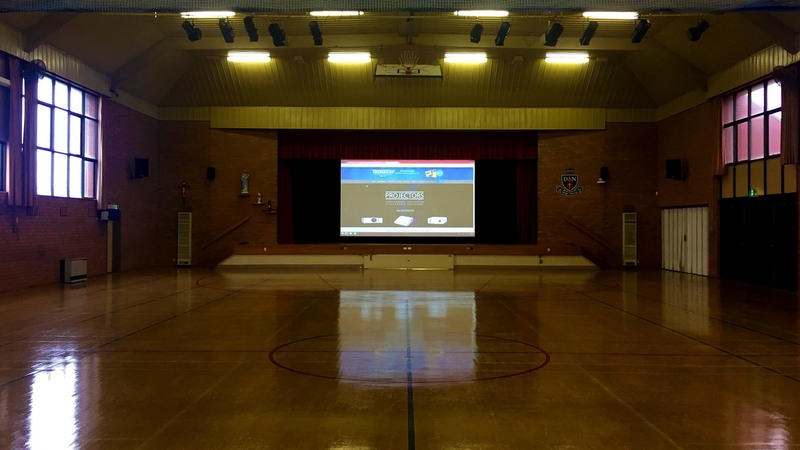 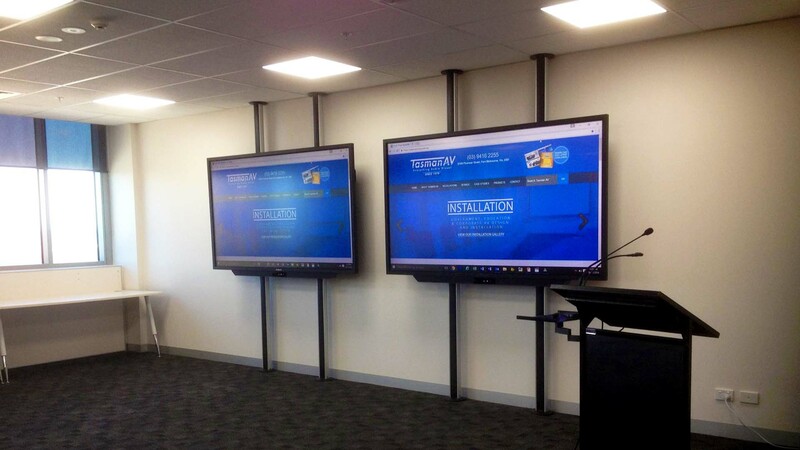 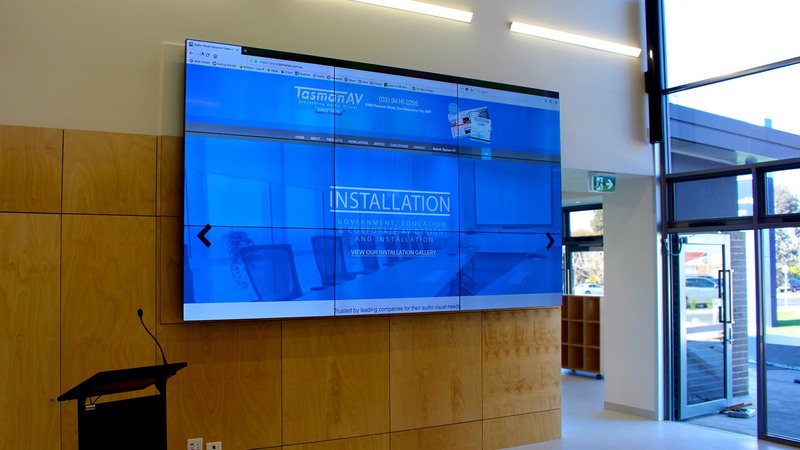 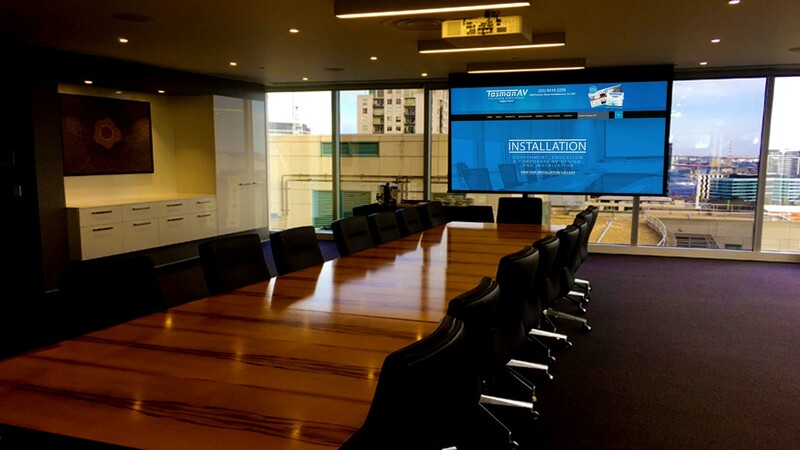 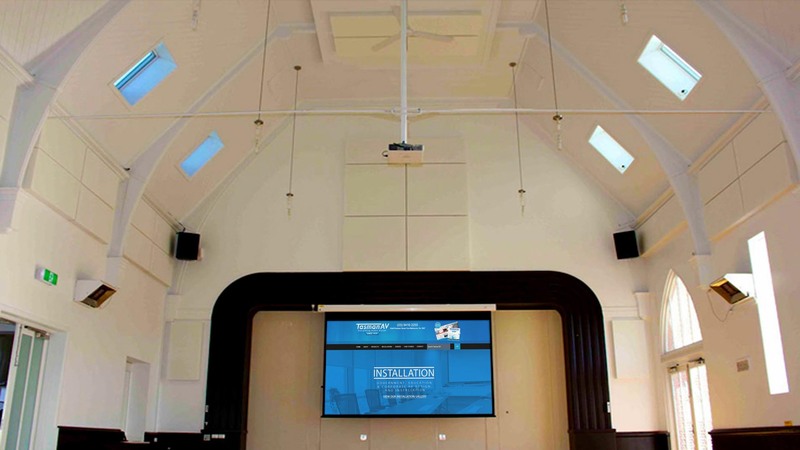 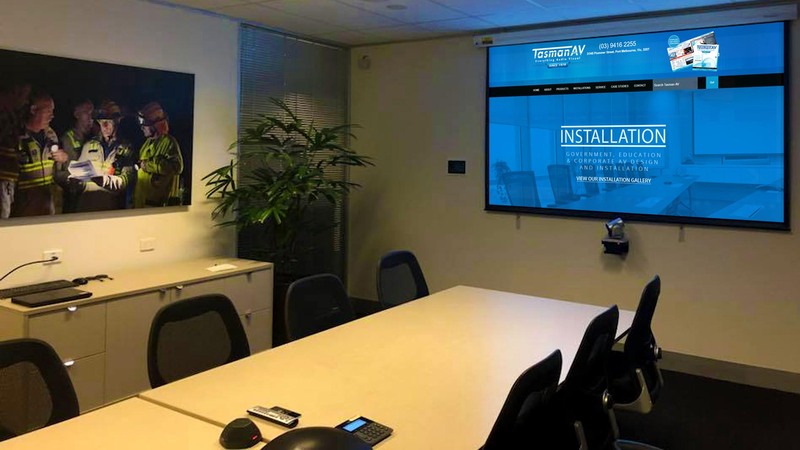 Tasman AV has been the preferred supplier and integrator of audio-visual solutions for education, government and corporate clients in Australia for more than 40 years. 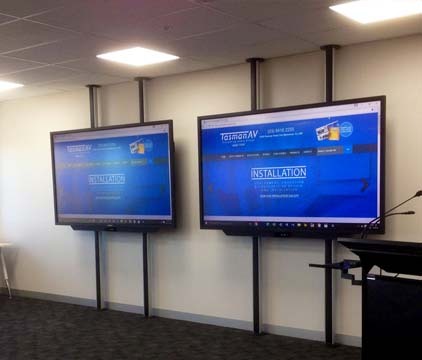 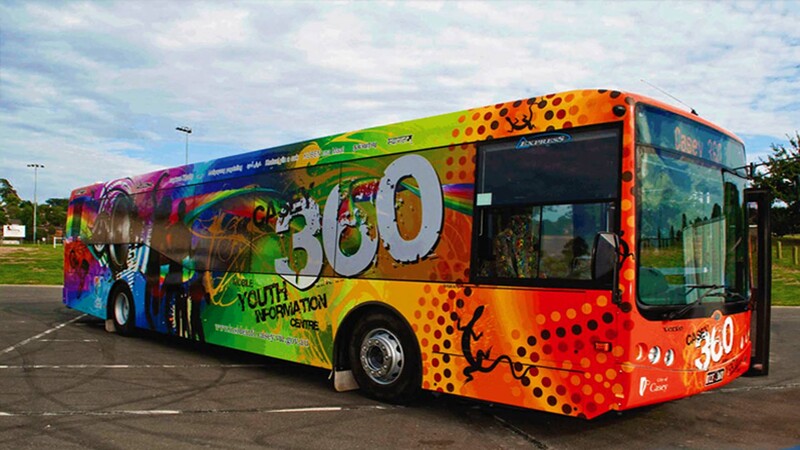 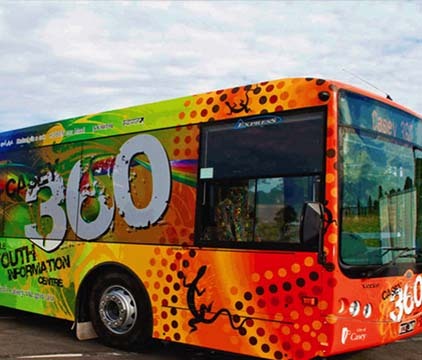 We specialize in designing effective solutions to meet your organisation's growing demands for communication, presentation, training and advertising. 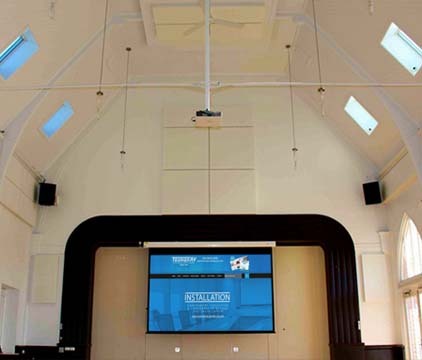 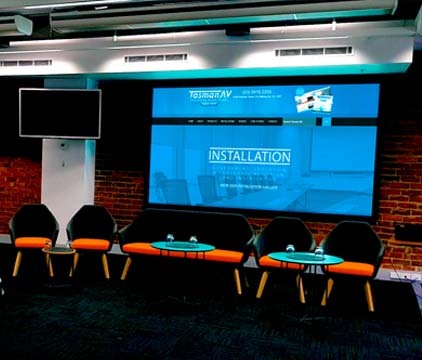 Our audio-visual products include smart interactive 4K display panels, 4K commercial-grade panels, integrated touchscreen controls, data projectors, motorised projection screens, portable PA systems and a variety of audio solutions. 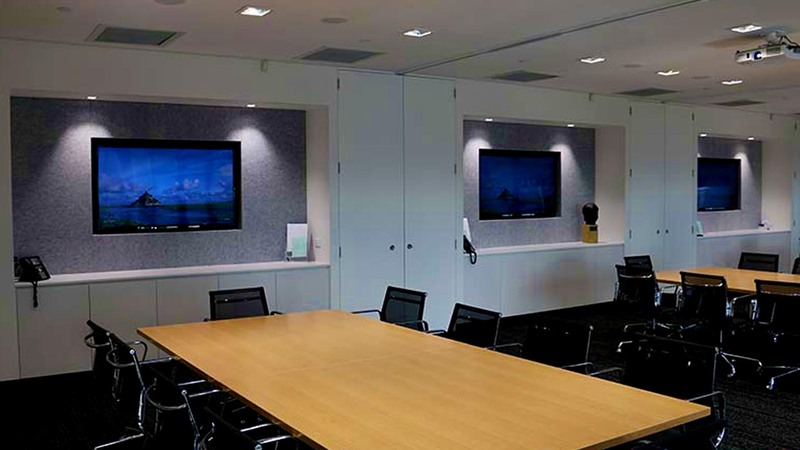 We build enduring, professional relationships with all our clients to ensure we can identify your organisation's individual requirements and thereupon design and tailor an audio-visual solution focused specifically to achieve the aims and demands of your organisation. 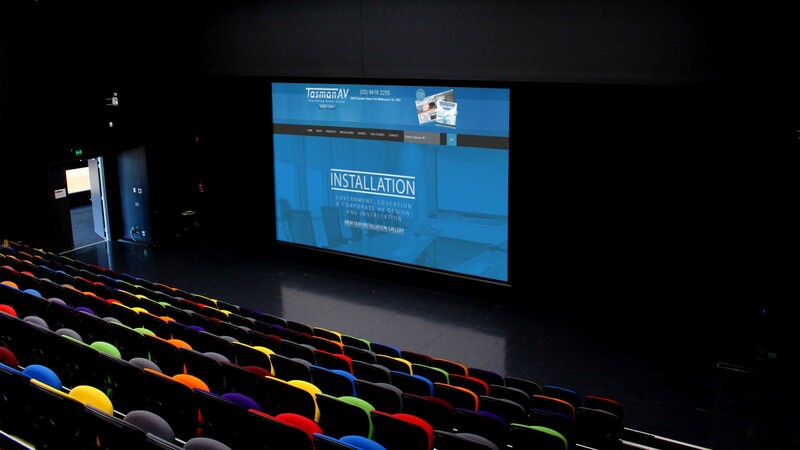 Our personalized approach ensures that your audio-visual installation is professionally completed first-time, on-time and on-budget. 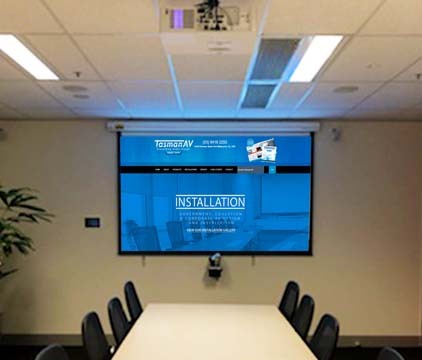 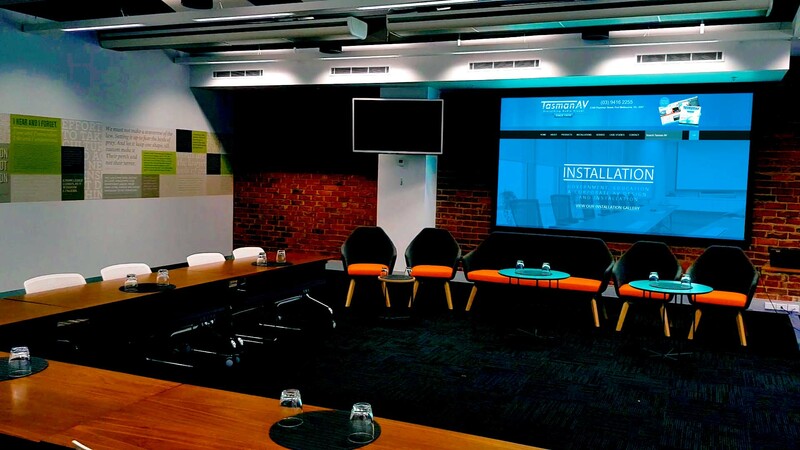 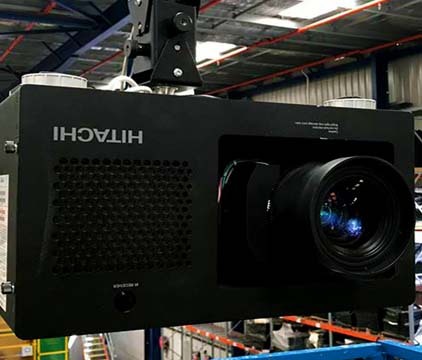 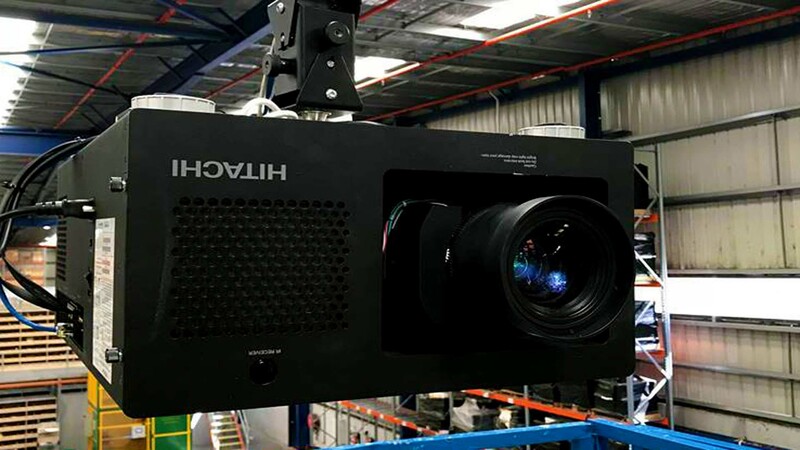 If your organisation requires the design and implementation of a brand-new audio-visual solution or needs to assess and update an existing installation or technology, please contact Tasman AV via any of the details on our Contacts page or call 03 9416 2255 for a personalised discussion with one of our Business Solution Managers. 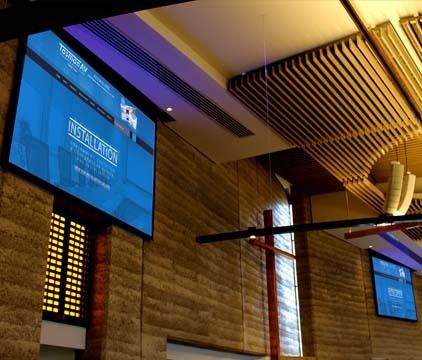 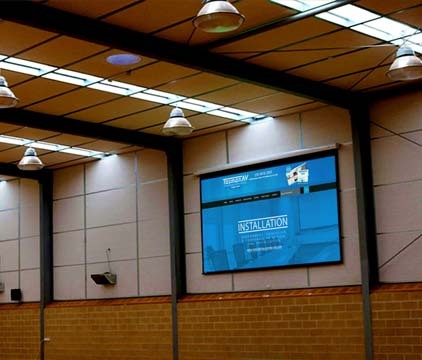 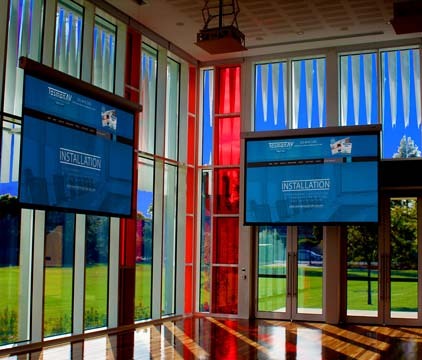 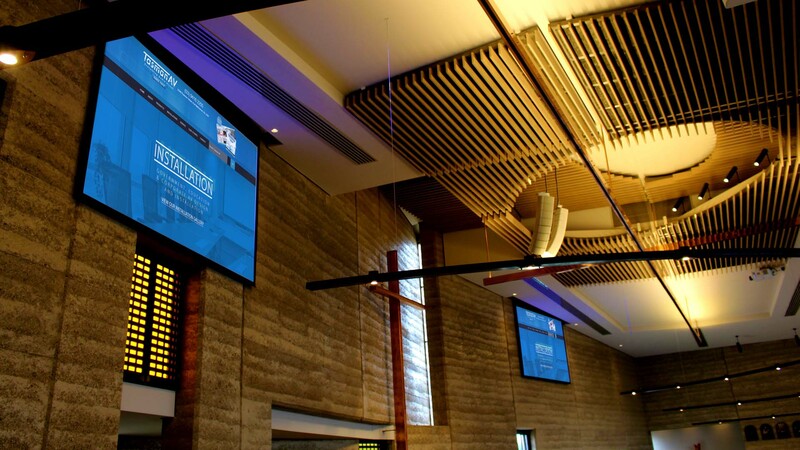 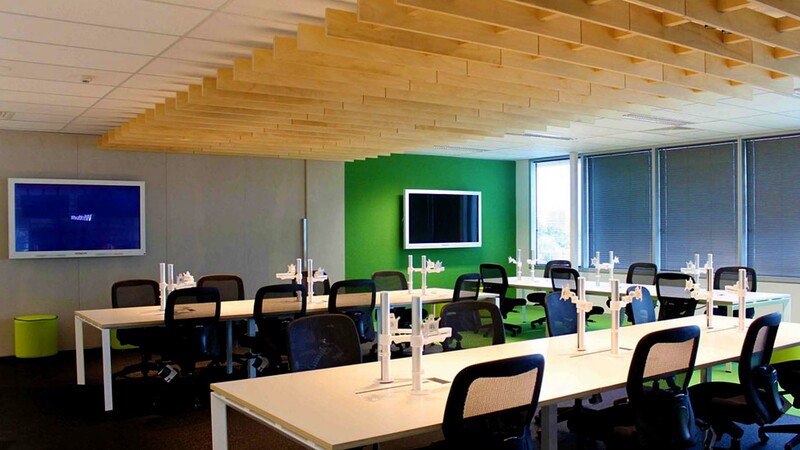 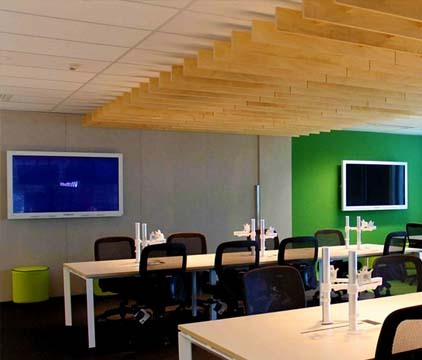 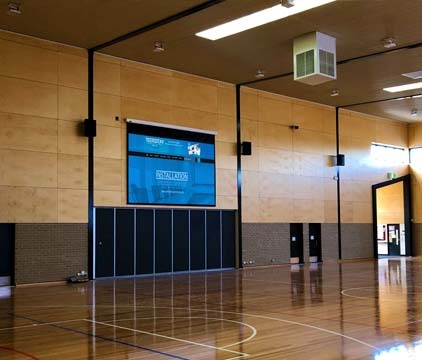 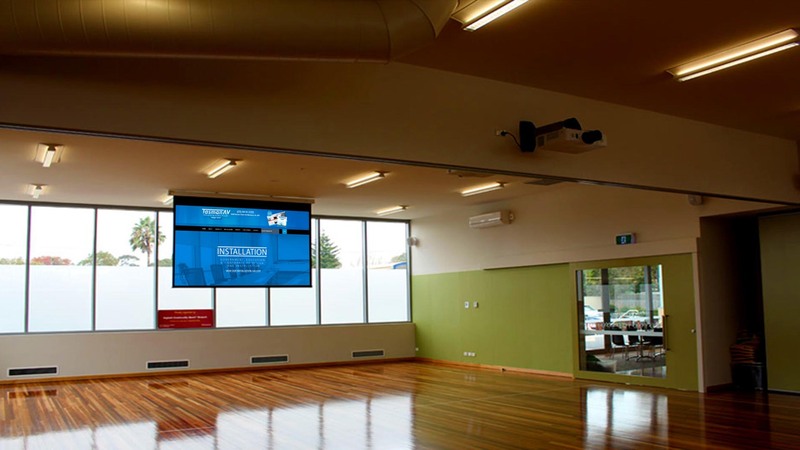 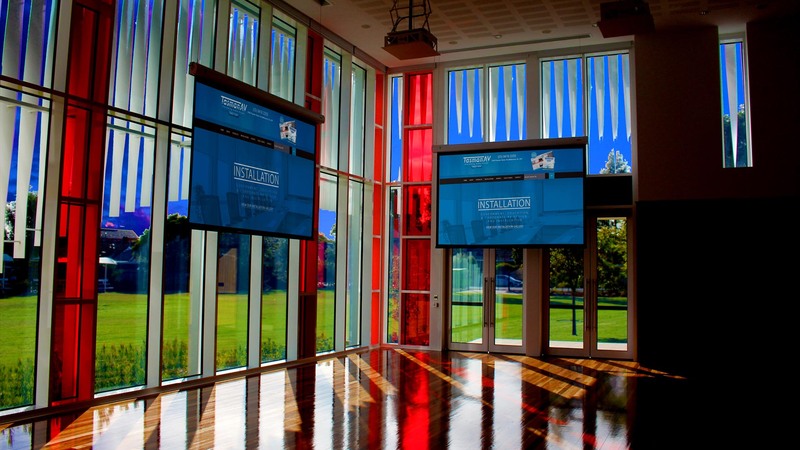 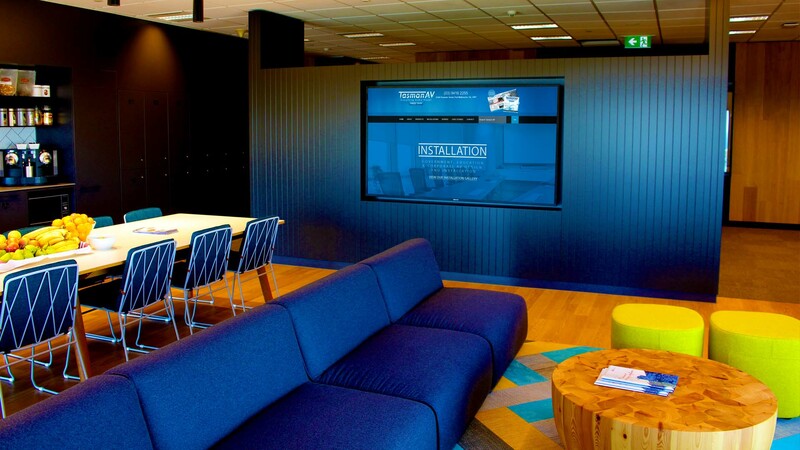 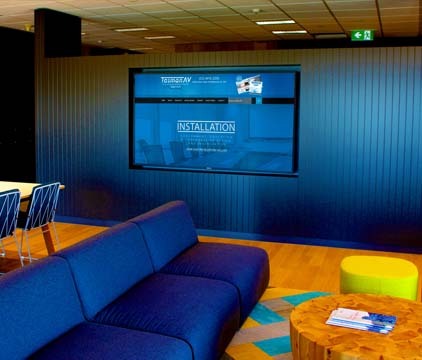 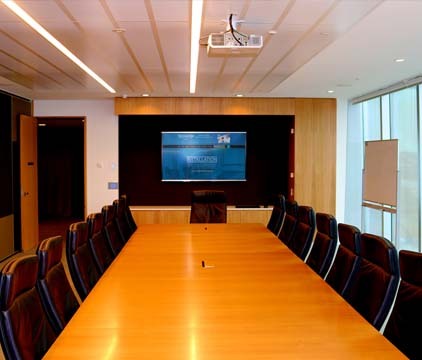 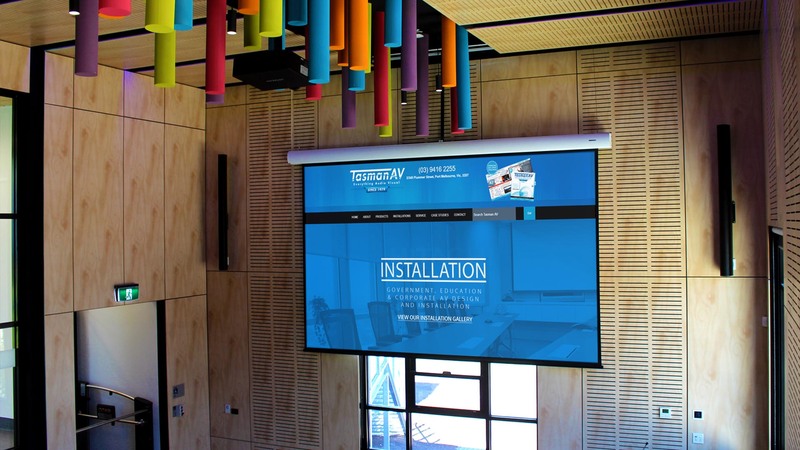 Tasman AV has designed, installed and serviced audio-visual solutions for some of Australia's most-recognised companies, tertiary establishments and government departments, since 1979. 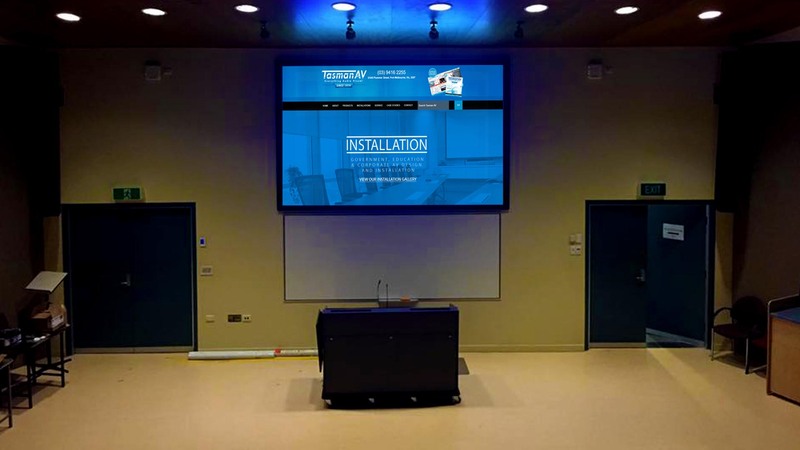 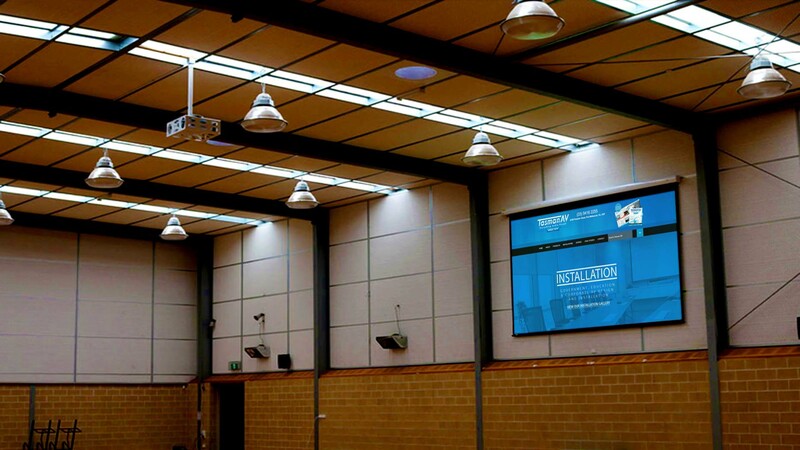 Below is a selection of our audio-visual installation portfolio. 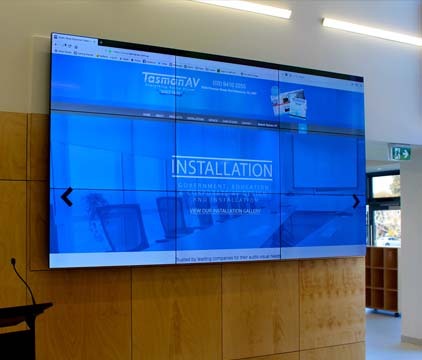 Click through to view the installation's photo gallery, learn more about the installation and explore the implemented technology and products. 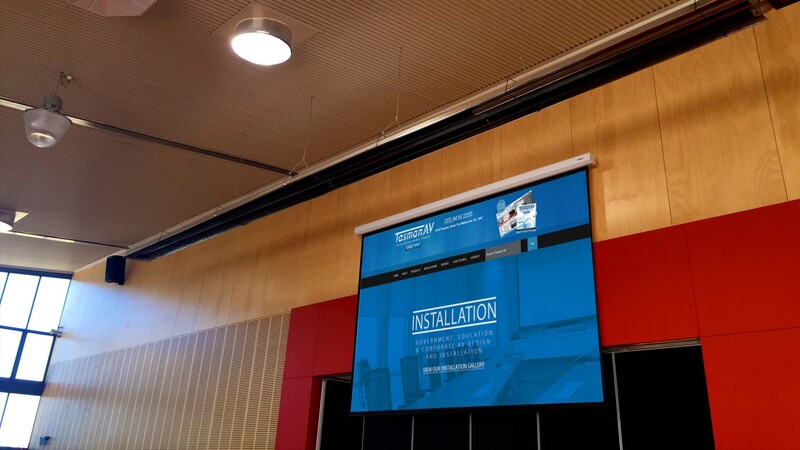 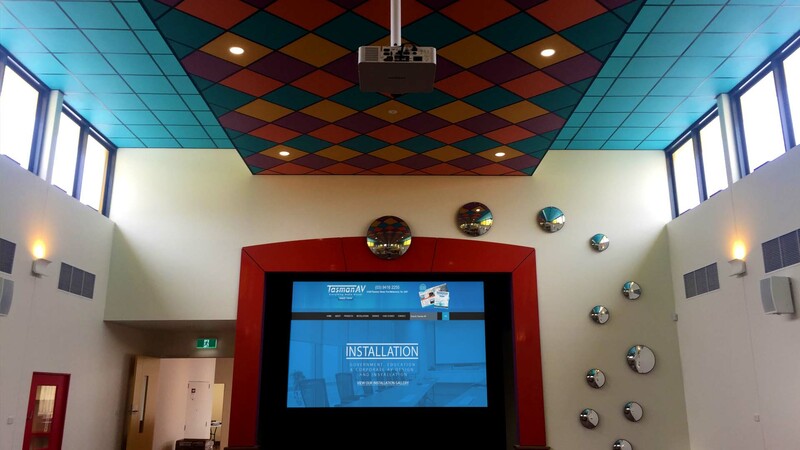 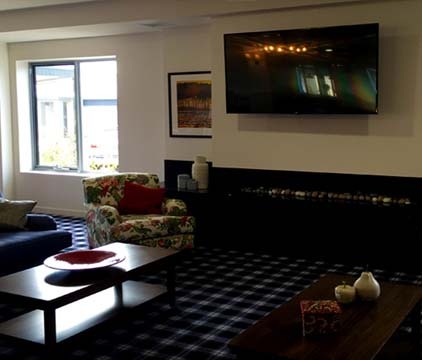 Marthas Cove Retirement Village installation including ultra high definition lcd screen, HD Hitachi projector with motorised screen and foxtel. 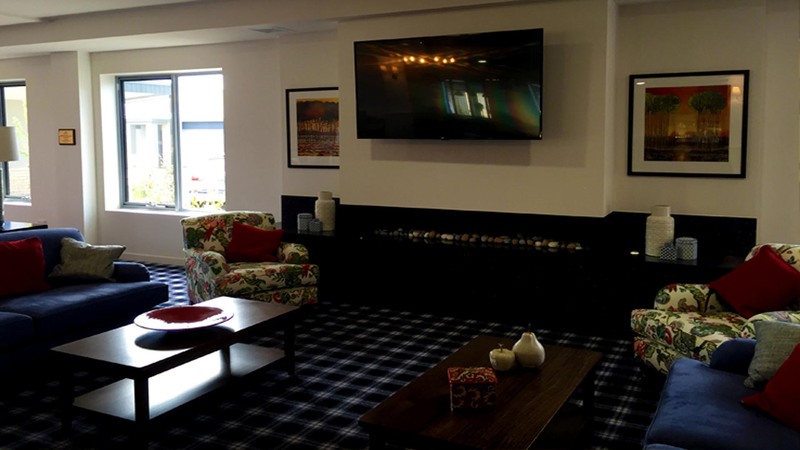 Residence use system for a number of functions including movie nights, bingo and also local presenters. 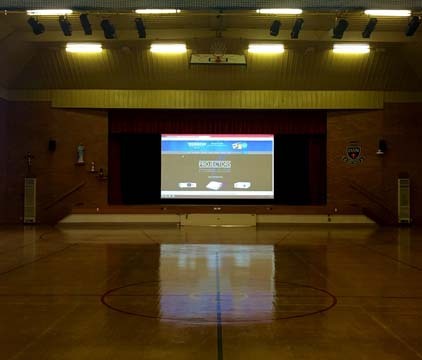 Chisholm Institute Audio Visual Roll Out Complete! 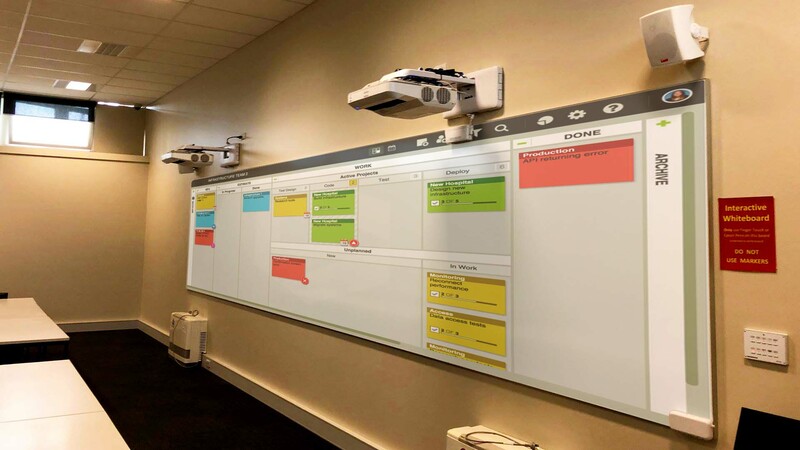 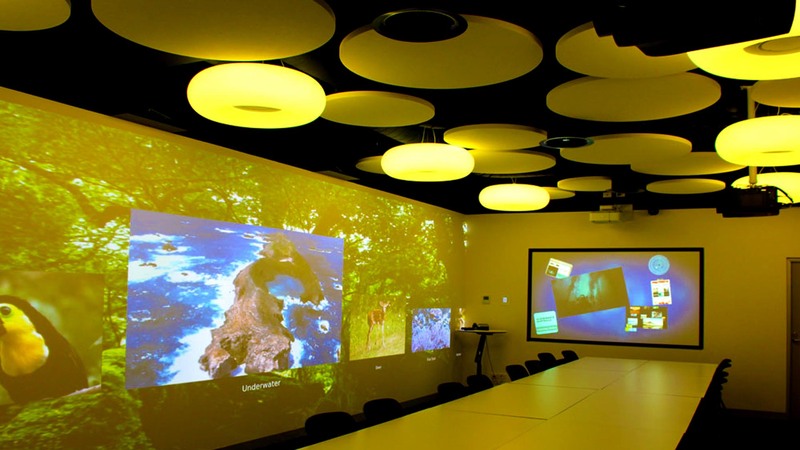 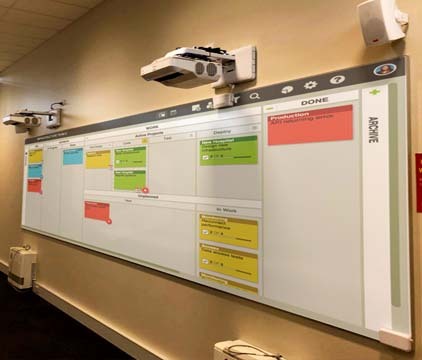 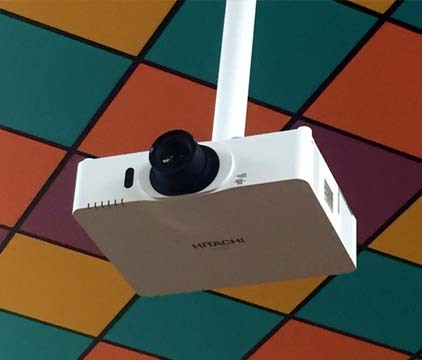 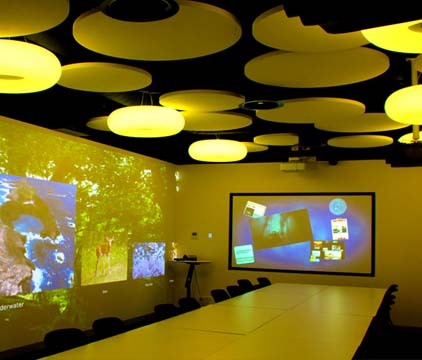 17 rooms, Dual Epson High Definition Ultra Short Throw Interactive Data Projectors throwing images on 7.2 metre whiteboards with active speakers. 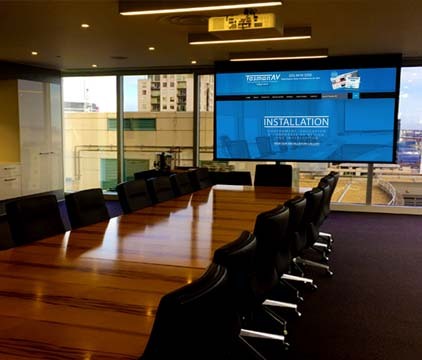 All complemented with Crestron Touch Screen Controllers. 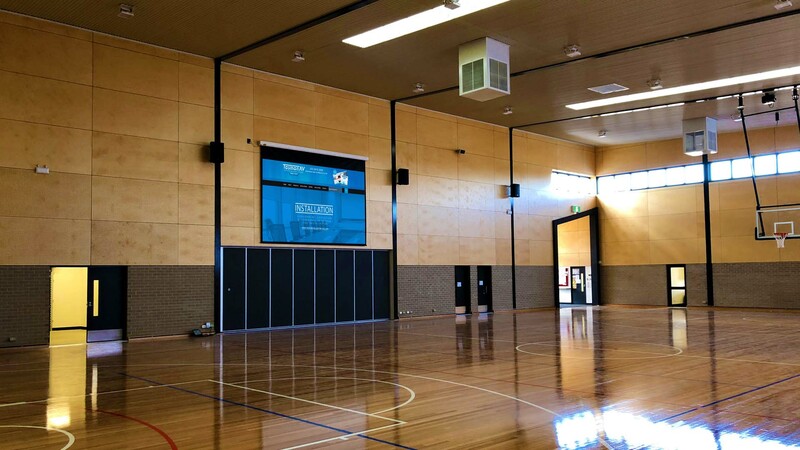 Lumen Christi Catholic School Gymnasium Point Cook. 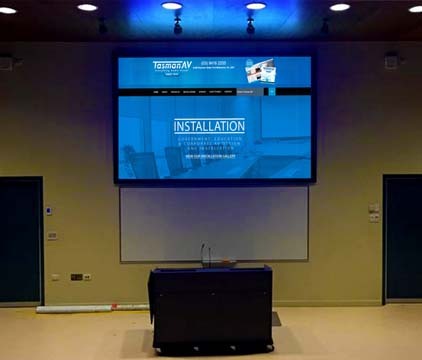 Visual Solution using a 250 Inch 16:10 Motorised Screen With 6500 ANSI Lumens Hitachi Wide Screen Data Projector and Ultra Lift Projector Cage. 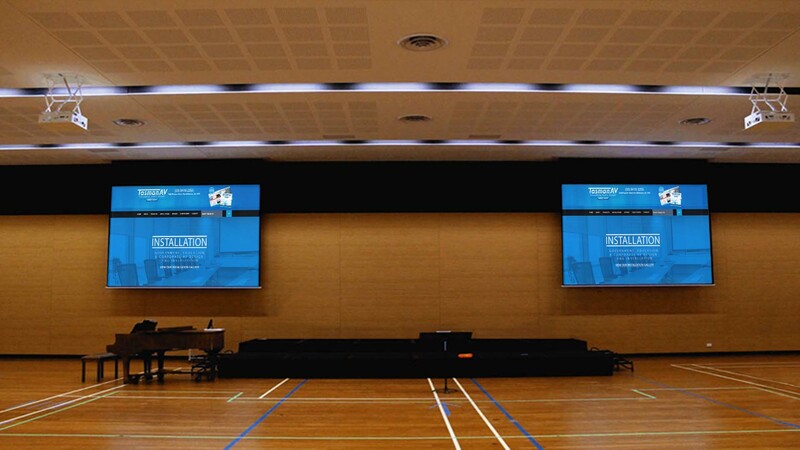 2 Visual Presentation Points For Complete Flexibility. 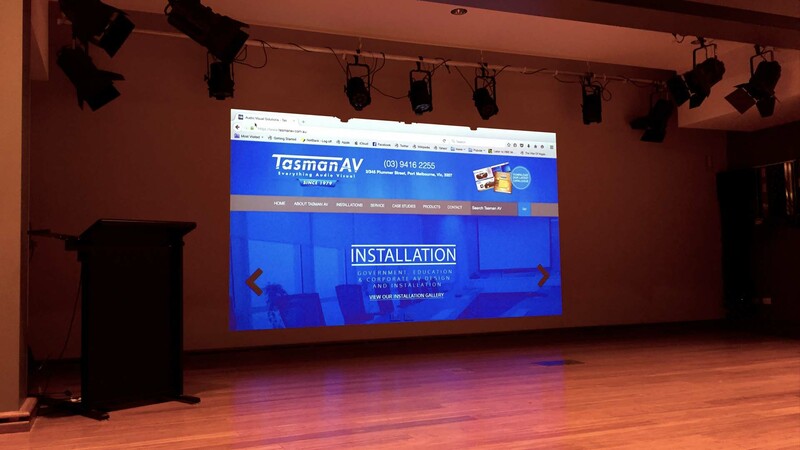 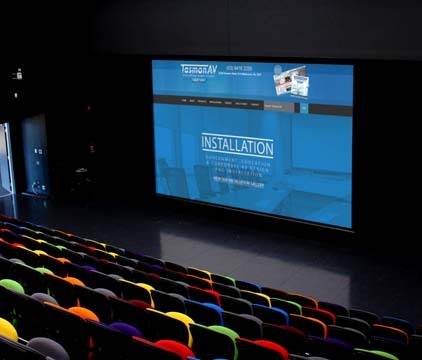 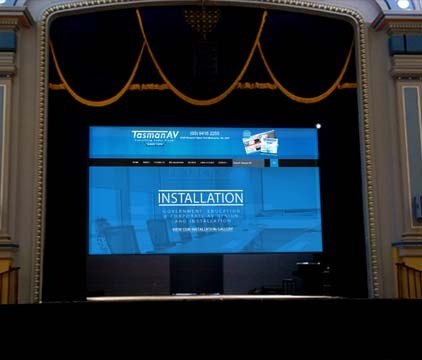 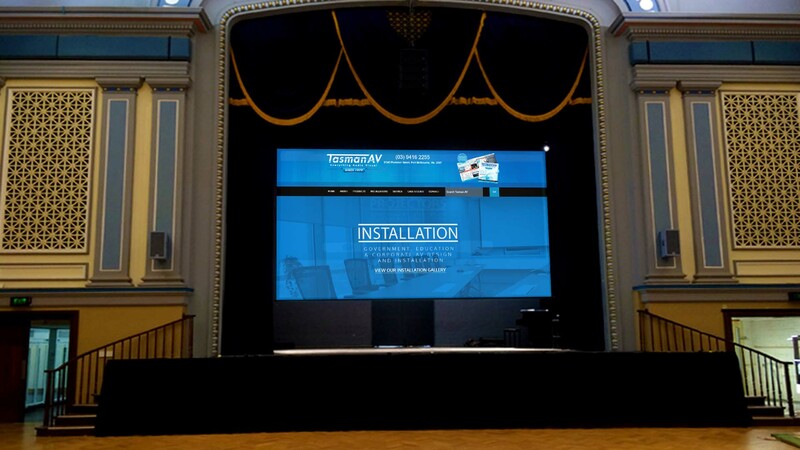 Tasman Av installation consisting of a 200 inch 16:10 motorised screen with AMX control in the main theatre. 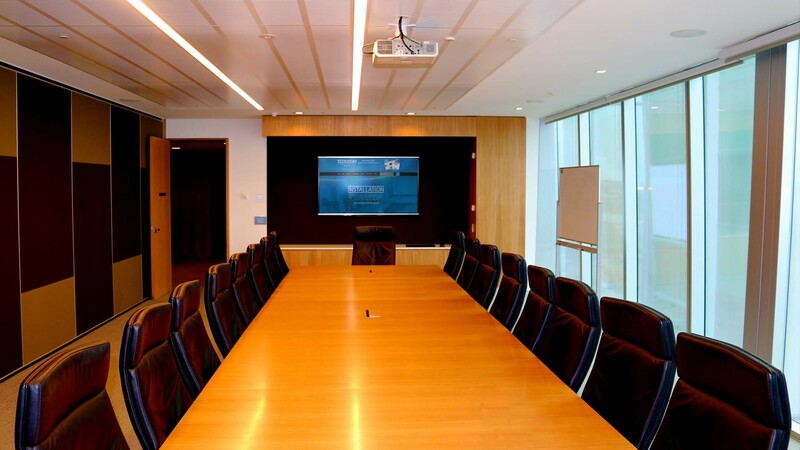 2 large meeting rooms that have been designed to combine as 1 and also separate into 2. 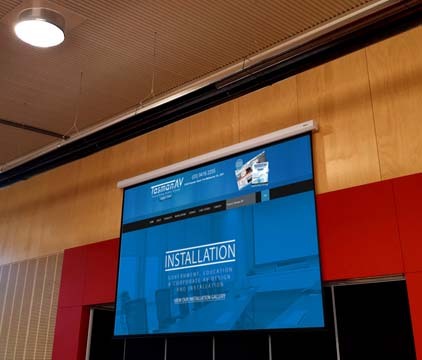 Denon Audio DSP has been installed along with HD Projector. 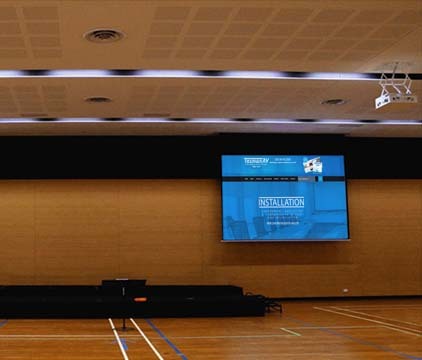 Speechline Sennhiesser handheld and lapel microphones enhances presenters voice across both rooms.